I assume that’s not the reaction I was supposed to have upon receiving this email, and yet, here I am, feeling…less enthusiastic than the number of exclamation points in this email suggests I should feel. I’m still holding out hope that I’ll be more excited about running the Chicago Marathon sometime between now and 10 months from now, and I don’t think I’m being totally unreasonable in that hope. I barely took a break after the marathon this year (I usually take a full month off of running entirely after the marathon), and I’m definitely feeling a bit burnt out on the running front. I’ve been training for something or other since Jan. 30, and I am very, very ready to not be training for anything. I’m looking forward to taking some time off after my 5K next weekend and focusing on any other kind of workout for a little bit. 2. Back in August, I lost my patience with my (now former) dentist, and set out to find a new one. My former dentist was only open from 9-4 Monday through Friday (though according to Yelp, it looks like their hours have since changed), which 1) seems like a terrible business model, since so many people are at work between the hours of 9 a.m. and 4 p.m. Monday through Friday and 2) was ridiculously inconvenient for me, since I, like most office workers, am otherwise occupied during that time frame. Instead of doing summer hours, my company gives every employee one half day of free PTO each month during the summer, to be used either in the morning or evening on any day of the week you please. I booked my dentist appointment to coincide with my August day off, only to receive a phone call from them 48 hours before asking me to reschedule to earlier in the day (before my afternoon off would start), only to receive another phone call from them an hour and a half before my rescheduled appointment that something was mechanically wrong at the office and they wouldn’t be able to see me at all that day. I was furious, especially because if I had called 90 minutes before my appointment to cancel they would’ve slapped me with some enormous cancellation fee, but they were allowed to do so consequence-free AND at the expense of my already scheduled, non-changeable half day. So that was the end of my affiliation with that dentist. Though it proved to be more challenging than I anticipated, I finally found a new dentist that operates during non-work hours and decided to take my business there instead. That was in October. I’ve now already been to that dentist more times than I think I ever went to my former dentist. 3. In theory, I should be putting up my monthly Goals for 2017 check-in post tomorrow, but since I have absolutely nothing to report on any front in that department, I’m going to skip it since it feels totally unnecessary. I’ve felt that way for the past couple of months, which has made me think about annual goal-setting in general. Is it better to set goals that you can accomplish by the end of the year (“get rid of 50 things,” for example), or goals that require continual work (“keep with my PT exercises”). I don’t know! Maybe both? Continual goals certainly lend themselves to better blog posts, but that’s obviously not the point of setting an annual goal. Things to think about! Have you had your wisdom teeth removed? Am I going to die in the process? I’m pretty convinced that’s what’s going to happen. Yep, I’ve had my wisdom teeth pulled. Is it pleasant? No. Will you die? No. Anesthesia makes me cry, though, so that’s always fun. Pain-wise it was pretty low-key. What I remember most is that they shot me up with so much Novocain that I couldn’t differentiate between my lip and the gauze in my mouth! Ooooh, that could be an exciting side effect! My only experience with anesthesia was a tiny little local injection on my arm so my dermatologist could cut off a bump she didn’t like. That didn’t produce any major side effects, but it was also barely anything, so I don’t know what I’ll be like with more! 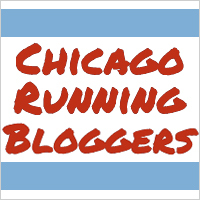 I hope you feel like running Chicago after a break! But if you don’t, and have a meh training cycle, don’t sign up for 2019! There are other marathons that don’t require signing up a year in advance (so annoying about the big ones, but I get it). Your comment about goals makes me think of the “timely” part of the SMART goals acronym. I wonder if it helps to have goals at different times – daily, weekly, monthly, yearly? Who knows! I don’t do goals. LOL. SIX! My dentist warned me that some people have up to eight wisdom teeth (O.O), which I VERY much hope does not end up being the case with me! Just getting the four I assume I have out sounds miserable enough 😦 Or, I suppose, more accurately, the recovery, like you said. I’m so pathetic when it comes to being in pain that that’s really the part I’m dreading. Ahhh wisdom teeth removal! I had that done in high school. Like someone said above, it’s the recovery, not the procedure, that’s a literal pain (you’re out cold for the procedure so you don’t feel a thing!). If I recall I think I was “back to normal” (no more pain, all solid foods, no avoiding drinking from straws or worrying about dry sockets) within a week. But it was such a long time ago now! I have such conflicting feelings about goal-setting these days. I love the idea of them, but…year-long goals are hard because 12 months is a long time and so much can change in terms of priorities, interests and circumstances in that time. I thought 2017 would be just another year and I could plan out all these goals – I didn’t think that within a few months I’d have the major life change of becoming a homeowner! Goals that require continual work are a nice option for those of us who are prone to procrastination and/or want to really dive deeper into a certain area of improvement…but they can also lead to serious “goal fatigue” after a while. I’ve come to the conclusion that it’s okay to set goals and resolutions as long as they are well thought-out. I really need to have a strong sense of the “why” – why am I doing this, what do I really hope to accomplish here? And I also need to spend a considerable amount of time thinking through the execution of it – what are the steps I need to take, how will this play out through the year, how will I anticipate and overcome inevitable setbacks, etc. I think there are so many failed goals and NY resolutions because people don’t bother to think past the initial honeymoon of getting fired up and setting a goal and being excited about it. I definitely feel like I’m a late bloomer in the wisdom teeth extraction department. I’ve always been a late bloomer as far as teeth are concerned–my wisdom teeth didn’t even start to make themselves known until after my freshman year of college, and I don’t remember them ever actually bothering me until after graduation. I wish I had been able to get them out when I was younger. The older you get, the harder it is, apparently, which just makes me dread this even more 😦 On the other hand, one of my former coworkers just got his out a couple of years ago on a Friday when he was probably 32 or 33, and he was back to work, totally normal, no swelling or anything, the following Monday. As with anything medical, I’m sure it’s all very case-by-case.